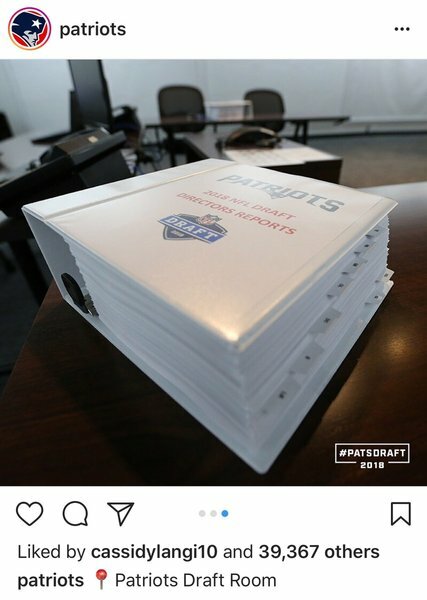 With the 31st pick, the #Patriots select Georgia RB Sony Michel. Overview: With 6,659 rushing yards in high school and a number of awards bearing his name, Michel was one of the prized recruits of the 2014 class. He joined Todd Gurley, Keith Marshall and Nick Chubb to form a dominant backfield in 2014. Michel had his chance to see the field as a sophomore when Chubb went down with a serious knee injury, accounting for 1,161 rushing yards in 2015. Despite only four starts his final two years in Athens, he played a significant role in the Georgia offense. As a senior, Michel rushed for 7.9 yards per carry and led the team with 16 rushing touchdowns, running at his best in the College Football Playoff against Oklahoma (181 rushing yards) and Alabama (98 rushing yards). Analysis: A shifty runner between the tackles, Michel doesn’t waste time attacking run lanes and bursting to the second level of the defense. He does an excellent job reading his blockers and finding creases, creating burst off his plant foot to string moves together. Michel would benefit from added patience to his run style and can outrun his blockers. However, in some schemes, the same urgency that made him special and productive in college will be a benefit. Michel typically took the field in third-down situations because he was a trusted blocker and receiver. 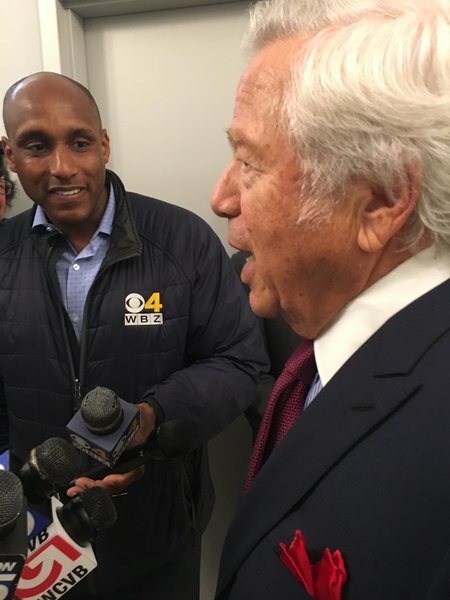 Scouts question his ball security after Michel fumbled 12 times in four seasons. Durability is another major ding on the scouting report. However, Michel has all the ingredients of a NFL starting back. And to close out the first round, the Eagles trade the 32nd pick to the Ravens. What the Eagles get: picks 52, 125, and a 2019 second rounder. What the Ravens get: picks 32 and 132. And Baltimore picks Louisville quarterback Lamar Jackson. Here's our scouting report on Jackson: Ultra-athletic dual threat. Threw for 3,660 yards and 27 TDs and rushed for 1,601 yards and 18 TDs in 2017. Will need some apprenticeship time (two seasons?) to sharpen his accuracy and decision-making. Caserio says Wynn has experience playing multiple spots. 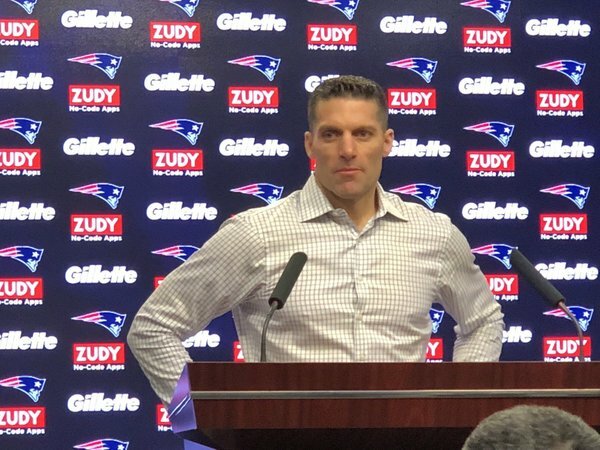 The Patriots picked a running back in the first round because they think Sony Michel is a good football player, Caserio says. Nick Caserio says that he did not throw pens against the wall when the Titans traded up. Caserio didn’t offer much in terms of how he views Michel’s medical situation. There was a report he has bone-on-bone in his knee. Caserio says they were “comfortable” with the information they had. 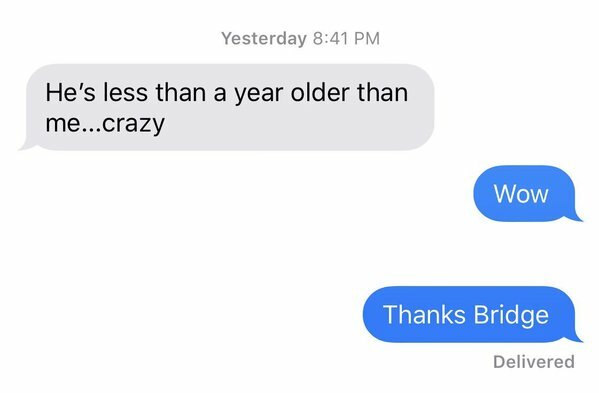 Around 10:40, Sony Michel texted his college roommate to congratulate him on being drafted by the Patriots. Less than an hour later, Bill Belichick called him, too. Headline tomorrow: Patriots going to the Dawgs. The #Patriots are closing in on a trade for #49ers OT Trent Brown, source said. It’s expected to happen. More protection for Tom Brady. 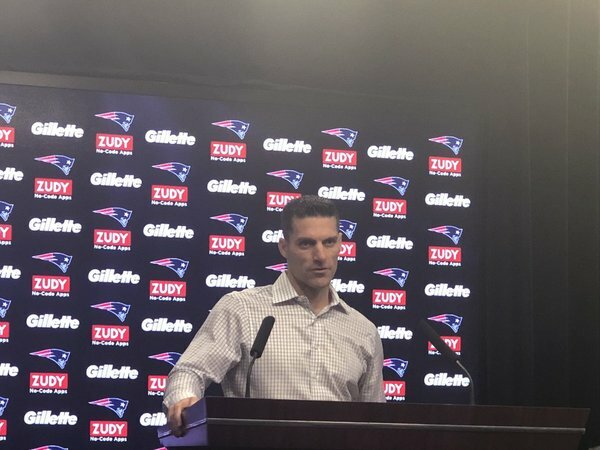 Quote from Belichick back in November: "Well, I think that’s a position that I feel like is an important position to have depth there...If you’re tackle-poor I think that can show up a lot quicker than being poor at other positions." Team lost Cam Fleming and Nate Solder in FA. 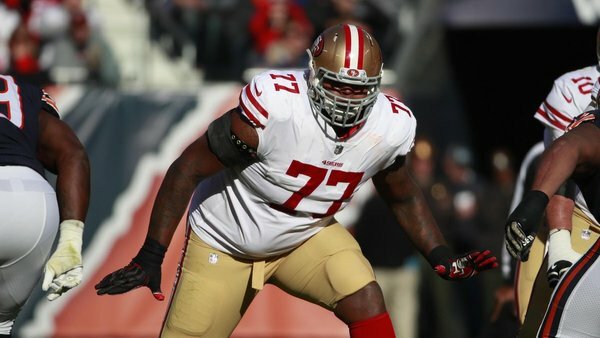 Patriots add another tackle, trade for Trent Brown with 49ers. One takeaway of the Patriots roster-building this offseason has basically just been that they're like, "OK, Dante Scarnecchia, do your thing." No. 2 pick 4 years, $30m , fully guaranteed. No. 31 pick: 4 years, $10m , three years guaranteed.